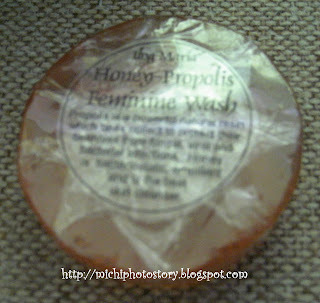 I bought this product few months ago when I visited the Ilog Maria Honeybee farm, see my previous post here. I’ve been using feminine wash for the past few years even my OB told me to use regular soap to avoid UTI. This week, I’ve tried to use this and they have the same cooling effect of ph care. So if ever I will visit Ilog Maria Honeybee farm, I will definitely buy this. From the name itself, it contains honey and propolis that will protects you from fungi and bacteria. It is affordable, P45 per bar so why not use natural products. Description: Propolis is a powerful natural resin which bees collect to protect their beehives from fungal, viral and bacterial infections. Honey is bacteriostatic, emollient and is the best skin cleanser. Very refreshing. I feel so neat. :D My problem with this is... My roommate doesn't like the scent it leaves in our bathroom :P Oh well. Does it smell as good as their handwash? I love their handwash, super!